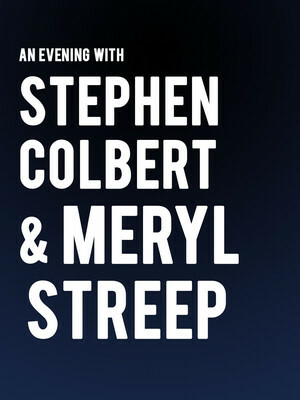 Why See An Evening with Stephen Colbert and Meryl Streep? 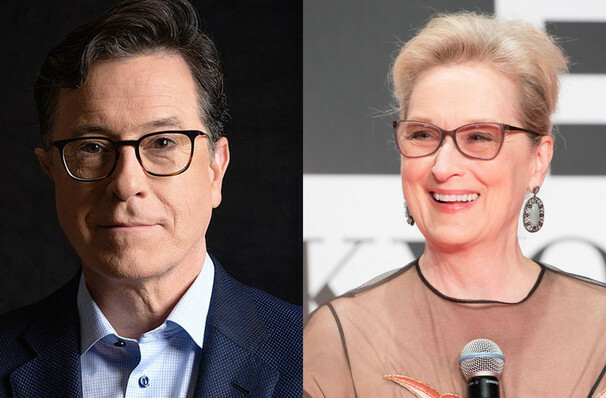 Meryl Streep returns to her NJ roots for a very special one night only appearance, where the three-time Oscar winner will be quizzed by Late Show host Stephen Colbert in an evening that is sure to be filled with laughter, reminisces and more as she recounts her incredible four-decade career. Taking her first film role with 1977's Julia, Streep has barely stopped since, earning her a record breaking 21 Oscar nominations in additions to those three wins! From stage to celluloid, television and more, she has grown to become one of the country's finest actors, with a unique and extraordinary talent that's seen her play a varied cast of unforgettable characters. So take a chance on this exciting in aid of Montclair Film. A luminary of comedy, writing and more, Stephen Colbert will host the evening, adding his trademark wit and wisdom to proceedings! Sound good to you? Share this page on social media and let your friends know about An Evening with Stephen Colbert and Meryl Streep at Prudential Hall. Please note: The term Prudential Hall and/or An Evening with Stephen Colbert and Meryl Streep as well as all associated graphics, logos, and/or other trademarks, tradenames or copyrights are the property of the Prudential Hall and/or An Evening with Stephen Colbert and Meryl Streep and are used herein for factual descriptive purposes only. We are in no way associated with or authorized by the Prudential Hall and/or An Evening with Stephen Colbert and Meryl Streep and neither that entity nor any of its affiliates have licensed or endorsed us to sell tickets, goods and or services in conjunction with their events.